I have another collab for you this week! So myself and Megan from itsmeeganblog decided to round up our favourite beauty items of 2016 – we’re going to divide this collab into 2 posts, high-end this week and drugstore next week! I will link Megan’s blog at the end of this post – be sure to check out her post too as it includes a few more of my high-end favourites! This was a birthday present and it’s probably my favourite fancy lipstick. I was given it in the shade Rita, a gorgeous red, and it’s perfect for nights out. This is quite expensive (£24 I think) but it lasts hours and hours and is extremely hard to remove. I actually prefer this over some of my liquid lipsticks – it lasts way longer! It dries matte but it’s not too drying at all, and I find I rarely need to touch up after eating or drinking which is perfect! I definitely need to pick up a few more, but it’s just trying to justify that price tag! I haven’t tried many Benefit products, but so far both have been included in my mid-year favourites! I can’t remember when I first tried this, I feel like it might’ve been Christmas. But anyway, I completely fell in love with it and have since repurchased it. I’ve had multiple people compliment me on my lashes when I’m wearing this! Which is lovely as I don’t have the longest lashes in the world and actually have a bald patch where harsh makeup removers have ripped out eyelashes over the years. The Too Faced Chocolate Bar Eye Shadow Palette is something that I have been completely and utterly obsessed with since I bought it. This palette is the perfect all-rounder. It creates natural day-time looks, to the perfect smoky eye. It really does cover all bases. It is so versatile with a great balance of matte and shimmer shades, with a perfect range of colours. They are super pigmented, last such a long time, even without using an eye primer and they blend like an absolute dream! 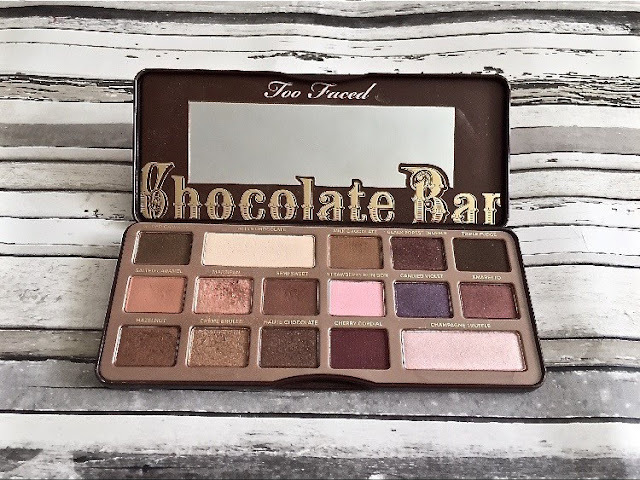 I had always stuck to my Urban Decay NAKED Palettes and was slightly nervous to venture out and try something different but I am SO glad that I did. 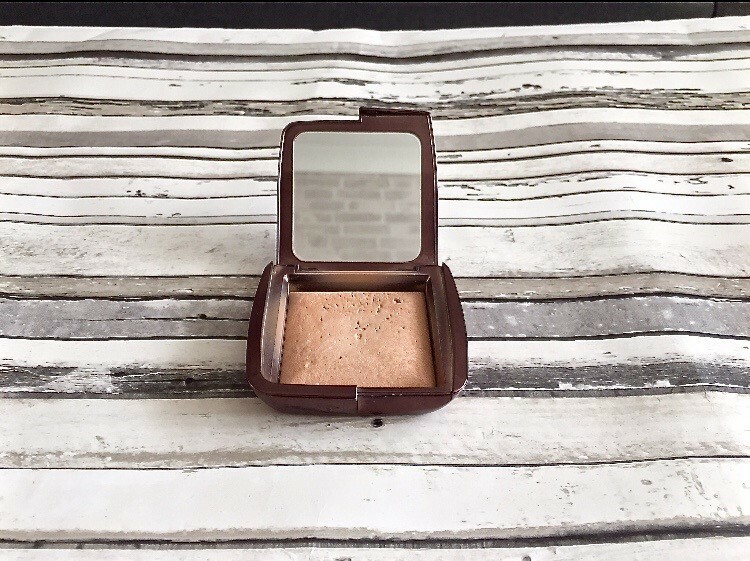 Hourglass is a brand I have only fairly recently discovered and oh my goodness, I can totally understand the hype around this brand, particularly the Ambient Lighting Powders. I have the shade Luminous Light and this is perfect for setting makeup into place and giving your skin a gorgeous, glowy and radiant look. There is nothing worse than when a powder makes your skin look flat and cakey, and at first, I was slightly dubious about giving this product a try but now I genuinely could not be without it. I really want to try more from the Ambient Lighting Powder and explore more from Hourglass. This isn’t just the perfect powder for Summer, I will be using it all-year-round! Keep an eye out for our drugstore picks, which will be up within the next week or so! What high-end beauty products have you been loving so far this year? Previous Post ANOTHER GAP YEAR? !